A proposed $180 million drop in Medicare reimbursement may not be a surprise to home healthcare agencies — but that doesn't necessarily make it any easier to digest, industry leaders say. The Affordable Care Act mandated the cut, along with reductions over the last three years, to make up for overpayments for home health services dating back to 2000. This time around, the CMS is proposing a 1 percent drop in Medicare reimbursement to home healthcare agencies in 2017. The CMS cut payments by $260 million for 2016, $60 million for 2015 and $200 million for 2014. Make plans to join us for two powerful events designed for Case Management, Transitions of Care and Physician Advisor professionals. 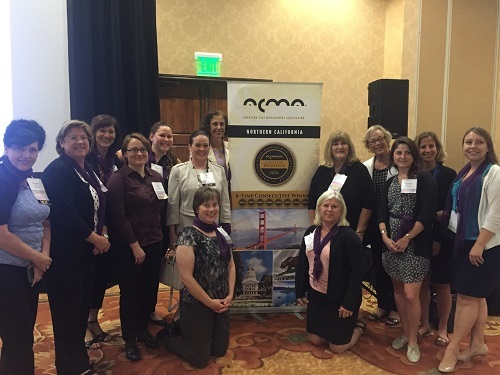 The ACMA Leadership Conference will be held Oct. 27-28, 2016 and the ACMA Physician Advisor Conference will run consecutively Oct. 28-30, 2016. Both events will be held at the Manchester Grand Hyatt in San Diego, California. More information and online registration will soon be available. 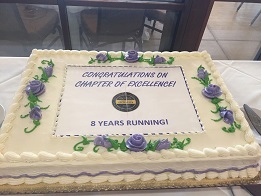 At the 2016 Northern California Chapter Conference in Napa, California, chapter members celebrated eight consecutive years of achieving the Chapter of Excellence designation. Attendees enjoyed slices of celebratory cake before heading into their breakout sessions. To achieve Chapter of Excellence, chapters are required to achieve and maintain specific goals throughout the year. We commend the Northern California Chapter Board of Directors for their efforts to ensure their chapter streak continues. Every primary care physician is familiar with the complex challenges involved with comprehensive health care delivery. The task can seem particularly daunting when facing communication barriers or when treating the underserved, the disabled and the elderly. Because of this, there is a great need for third-party facilitation through care coordinators, case managers, social workers and lay medical workers. If you want your hospitals or health systems to be more competitive in terms of cutting costs or engaging in value-based care, take steps to improve communication between your clinicians and managers. That was the takeaway from two presentations by high-powered physician executives at the Healthcare Financial Management Association's Annual National Institute in Las Vegas. In New York state, managed care is about to take a much larger role in the healthcare of millions more patients. If you qualify for Medicaid, it is likely you have been assigned a managed care company to oversee and pay for your care. Large medical practices and federally qualified health centers are designing new interventions that include an integrated approach to behavioral health and medical care. Amid the gridlock over guns last month in Congress, there was one bright spot of progress on another pressing problem: In the House, an ambitious mental-health reform bill made its way through committee. Rep. Tim Murphy, R-Pa., has led the charge for improvements in mental-health-care policy since the Sandy Hook Elementary School shooting in December 2012. His efforts may finally be paying off: The Helping Families in Mental Health Crisis Act passed out of committee recently with unanimous support.